Google announced that the Google Analytics product now has a place where you can track what updates Google has made to the product over time. Clickable Treemaps for Acquisition Reporting: Adds Treemaps for acquisition reports. Data Sharing Settings: Provides more granular control of data sharing and a clearer explanation of how shared data is used. 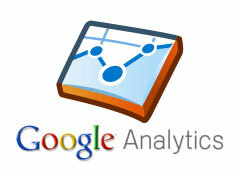 This is a great place to come to see what new exciting features, even small ones, Google has added to Google Analytics. Google AdWords recently added the same type of feature to track AdWords changes.